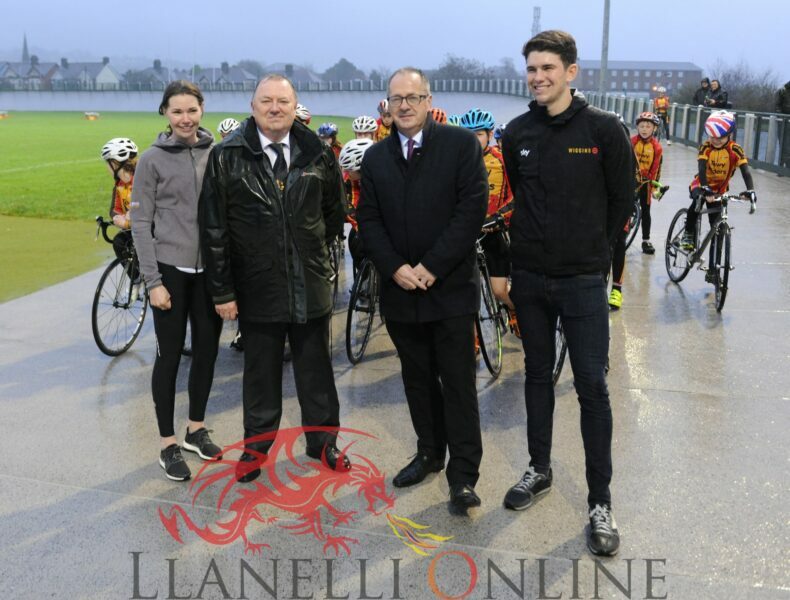 THE redeveloped velodrome located at Carmarthen Park was re-opened during a public ceremony on Tuesday evening 24th October attended by hundreds of people. 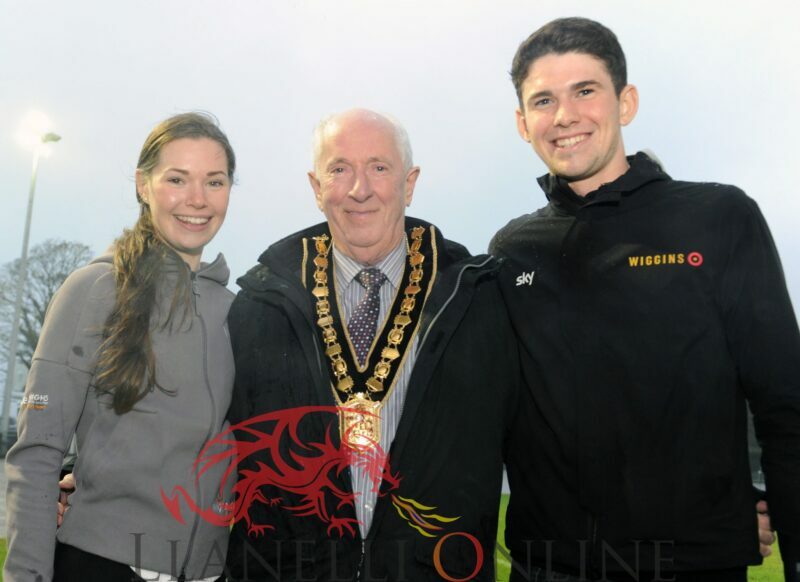 Professional elite cyclists Scott Davies and Amy Roberts, both of whom were junior members of Towy Riders the local Carmarthen based cycling club, helped Carmarthen Mayor Councillor Alun Lenny officially open the facility that has undergone a significant redevelopment during recent months. The original concrete cycling track, first opened in 1900, has been replaced in its entirety; it now has a new safety lane and also a safety fence that runs all around the perimeter of the track. 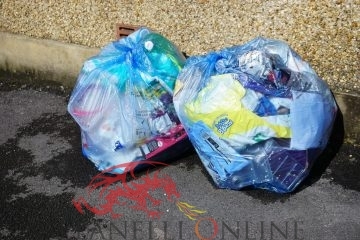 Other local dignitaries in attendance included Councillor Emlyn Dole, Leader of Carmarthenshire County Council, Cllr Irfon Jones, Chairman of Carmarthenshire County Council, Jonathan Roberts from Sport Wales, Anne Adams-King, CEO of Welsh Cycling. 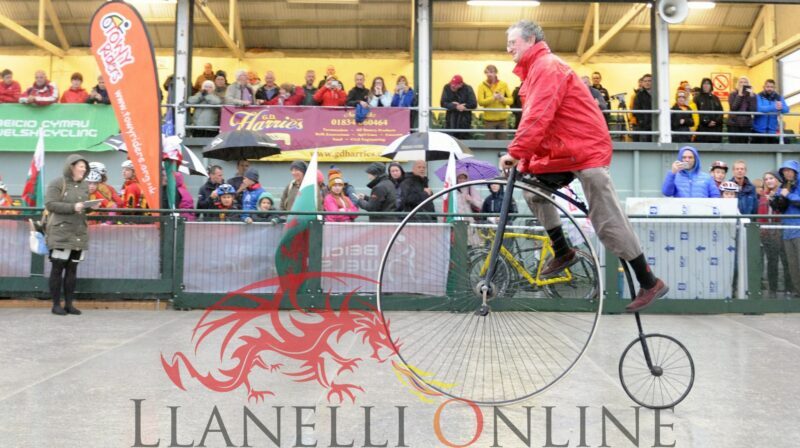 Despite the wet weather Towy Riders were able to cycle on the track for the first time and several antique bikes including two penny farthing bikes, were also on display. 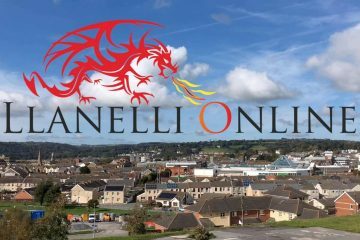 The Mayor of Carmarthen Councillor Alun Lenny said: “It gives me great pleasure to welcome you here this evening to this historic occasion. 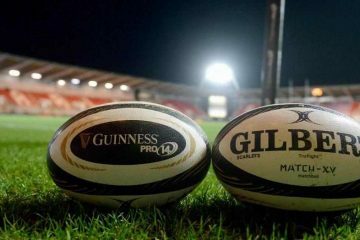 The redevelopment of this facility, first used over a hundred years ago has been a challenging but really interesting project and my thanks go to all who have worked so hard to make this happen. 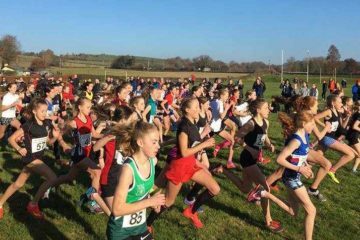 It would not have been possible without the financial support of Carmarthen Town Council, Carmarthenshire County Council and Sport Wales. The people on the project team including Carl Morgan the Project Manager, Alun Harries the Clerk of the Town Council and of course the contractors GD Harries who have done such a fine job here, as you can see. Thanks to all of you and everyone else who has made this such a success. 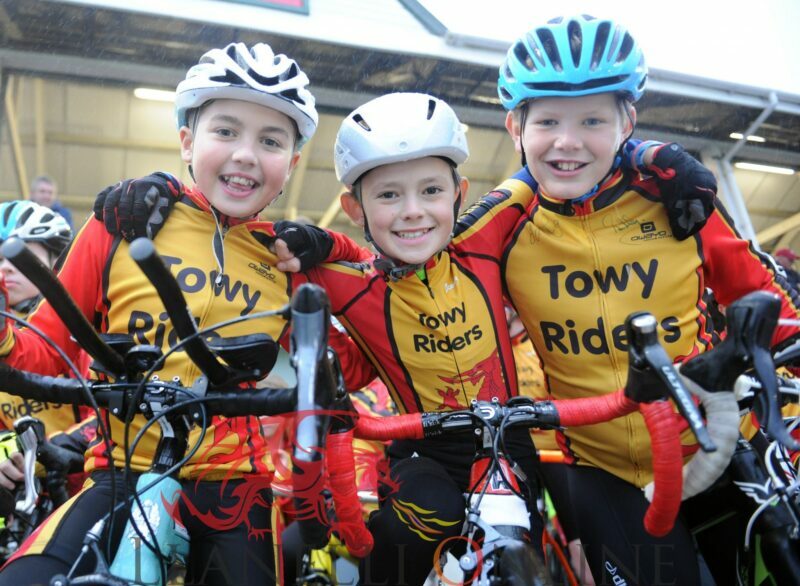 We now look forward to the next chapter in the story of Carmarthen velodrome and good luck to all of the people and cycling clubs who will be using this facility, including the young people from Towy Riders who are eagerly anticipating their first ride on the new surface this evening”. Nick Smith, Chairman of Welsh Cycling said: “This is a very proud moment for cycling in Wales and we in Welsh Cycling are thrilled to have played a part in securing the facility and also worked very closely with all those local people who have made this happen. 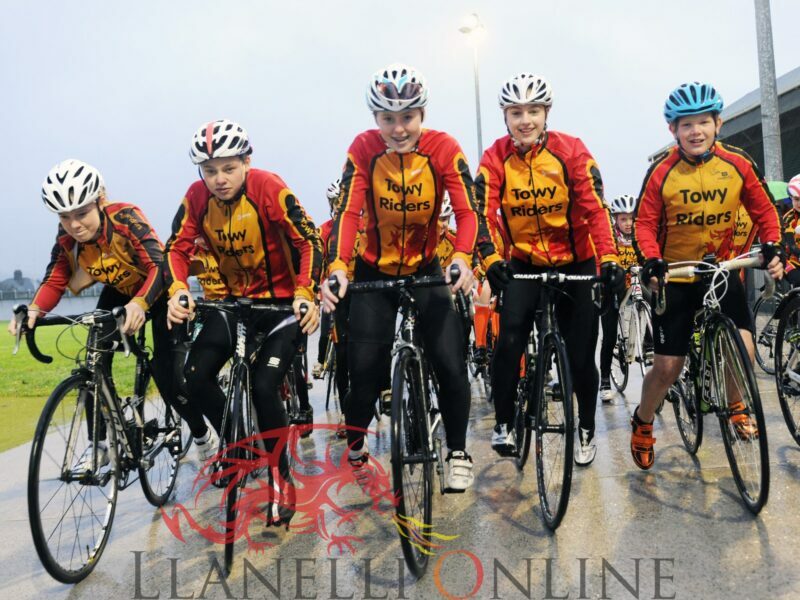 There is no doubt that cycling in Wales has a very bright future and this great facility will ensure that cyclists of all abilities continue to thrive”. 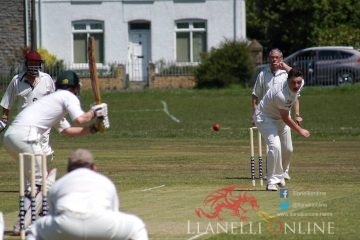 The Velodrome is now fully open and bookings can be made via www.carmarthentowncouncil.gov.uk, or by contacting the Velodrome Attendant Laura Mayho via email atlaura@carmarthentowncouncil.gov.uk, telephone 07784 341407.